Print Product Page Magento 2 extension provides a facility to print the product detail page without unnecessary header, footer & sidebar from the product page. Print This Page icon or text link is added to your product page that will open a new popup window with store logo in the header, product URL, product image and with product attributes like product SKU, price, description etc. 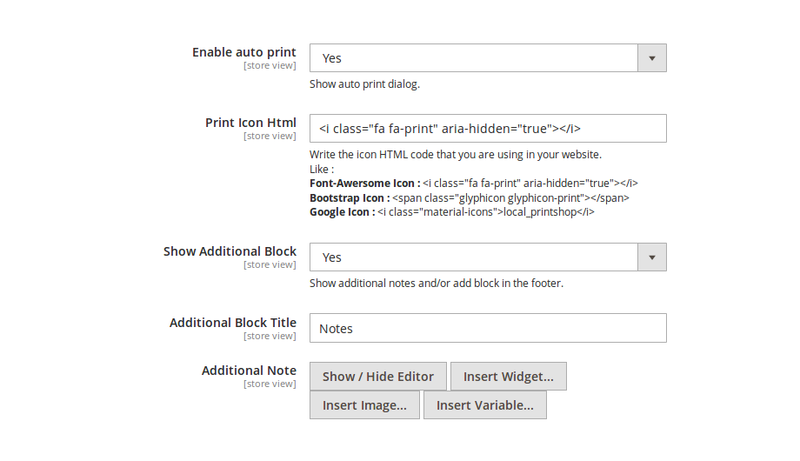 Admin can easily enable/disable ‘Print This Page’ link in product view page from the backend. – Other additional product attributes etc. 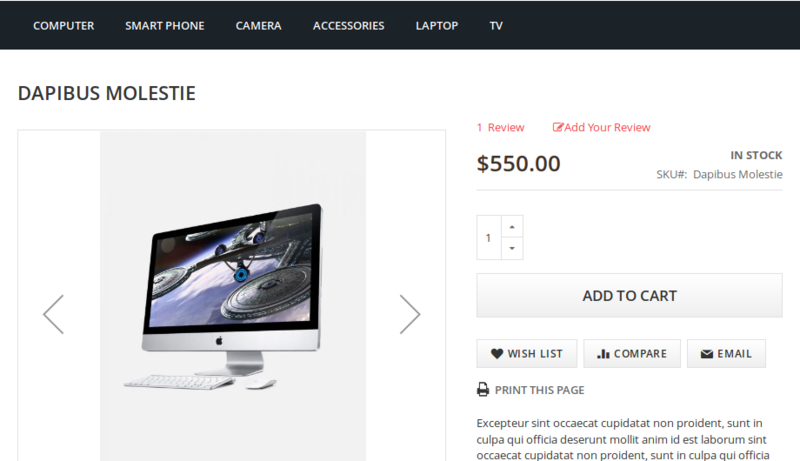 Add ‘Print this page’ link to your product detail page to print that product info. Display product’s all attributes and its details in the print page. 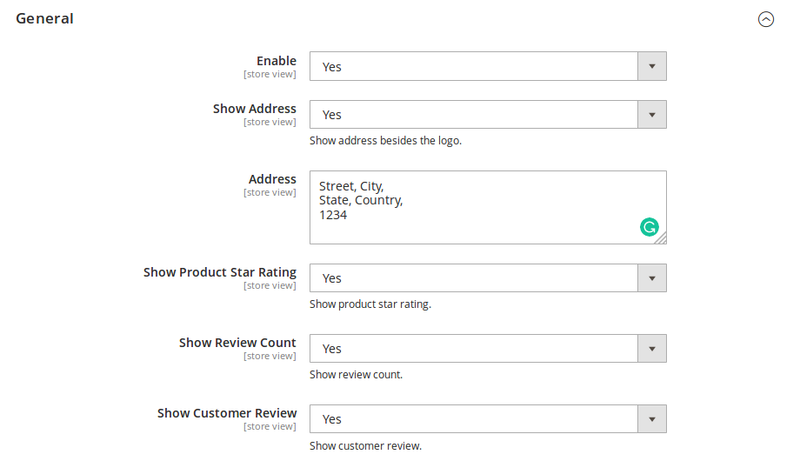 Allows guest customers to print the product page with all product attributes. Download the Print Product Page extension .ZIP file from solwininfotech.com using your Solwin Infotech website account. If you are using Magento 2.0.x then you need to extract solwin-printpage-m2-2.0.x.zip file. If you are using Magento 2.1.x then you need to extract solwin-printpage-m2-2.1.x.zip file. If you are using Magento 2.2.x then you need to extract solwin-printpage-m2-2.2.x.zip file. If you are using Magento 2.3.x then you need to extract solwin-printpage-m2-2.3.x.zip file. 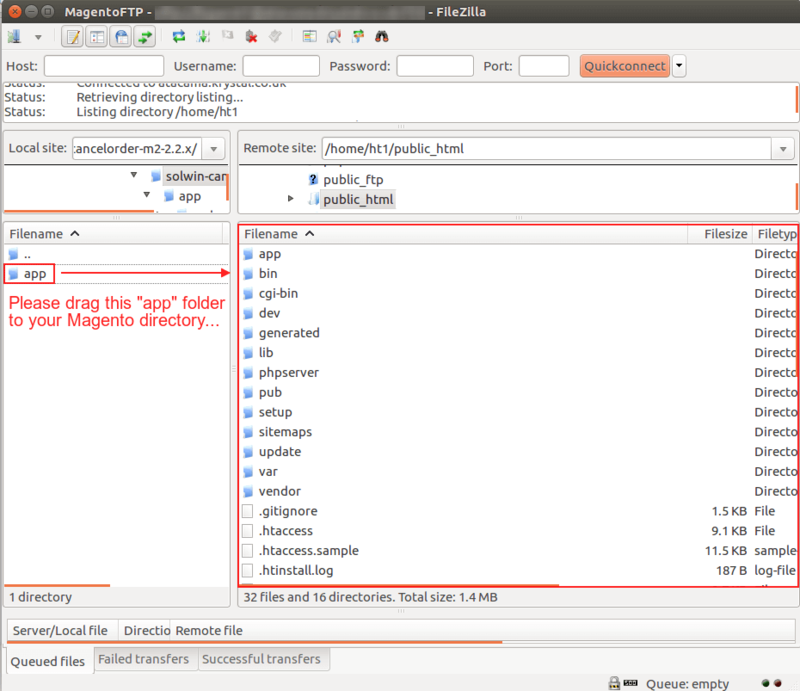 If you are using Magento 2.1.x then you need to extract solwin-printpage-m2-EE-2.1.x.zip file. If you are using Magento 2.2.x then you need to extract solwin-printpage-m2-EE-2.2.x.zip file. Now, you can see the Solwin menu in admin panel. Please go to Solwin -> Print Product Page -> Configuration and select Enable to Yes. 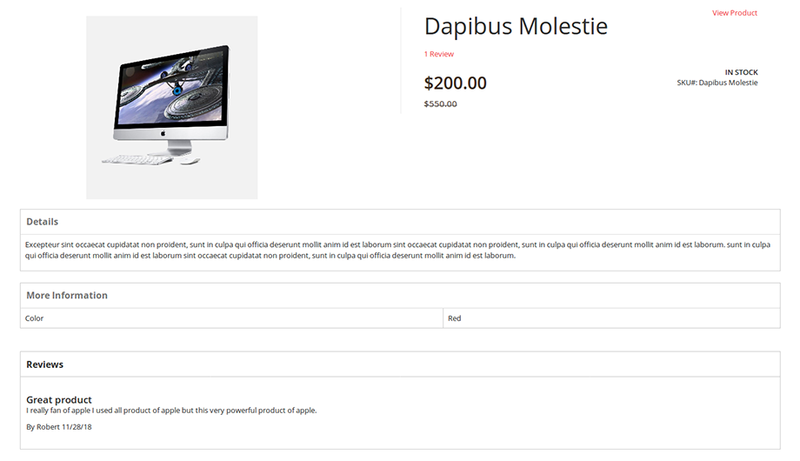 AddedDisplay the customers reviews with star ratings and contents.